Candy Cane Lane was packed with lines of cars as it officially kicked off Friday evening. 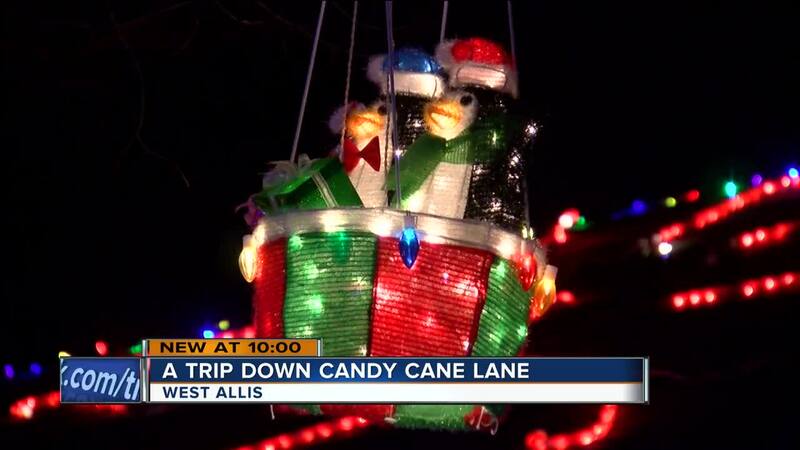 WEST ALLIS -- Candy Cane Lane was packed with lines of cars as it officially kicked off Friday evening. For fifteen years, Stacey Bergeman has transformed her home in the West Allis neighborhood into a Christmas classic movie, Rudolph and the Island of Misfit Toys. "We love it! Somebody proposed on our lawn. That was a few years back," said Bergman. For 33-years the festive event has raised over 2.2 million dollars for the Midwest Athletes Against Childhood Cancer Fund. An organization dedicated to funding childhood cancer and related blood disorder research. This year the goal is to raise $105,000. 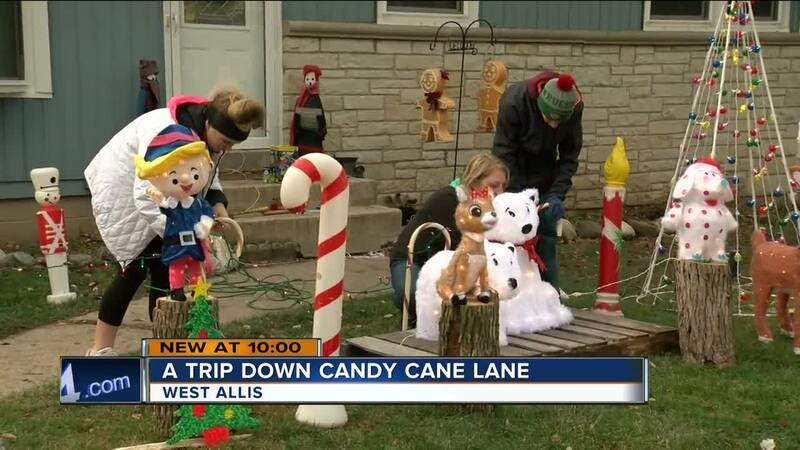 Kari and Jason have been coming to Candy Cane Lane for 18-years. It initially started off as a date night but now four kids later, the family still keeps the tradition alive. "This is the kickoff. It's the kick off for Christmas," said Kari. Home owner Ken Perkil said he's proud to live in a neighborhood that embodies the spirit of giving. "It's just so much joy and it's so much happiness. I love it," said Perkil. The holiday lights are on display Mondays through Fridays 6-9 p.m. and Saturdays and Sundays 5-10 p.m.
Candy Cane Lane runs through Oklahoma and Montana Avenues and 92nd to 96th Street.